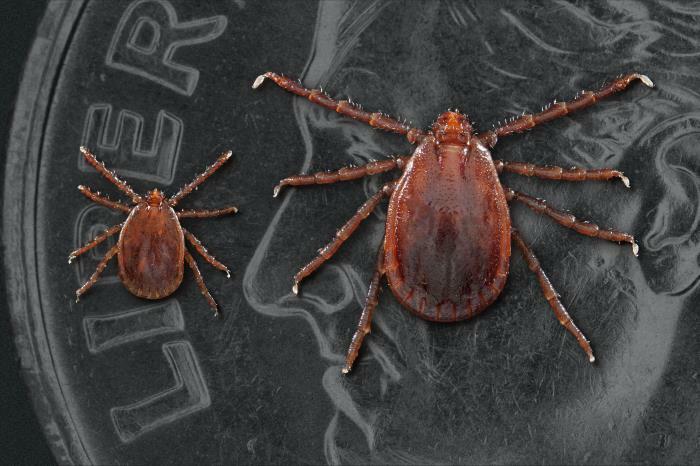 This photograph depicts two Haemaphysalis longicornis ticks, commonly known as the longhorned tick. The smaller of the two ticks on the left, is a nymph. The larger tick is an adult female. Males are rare. This tick can reproduce asexually. Note that the ticks had been placed atop a United States dime, in order to provide you with some sense of scale, as to the size of these small creatures.